When you first start blogging, progress can feel slow and take time. You have to have patience. 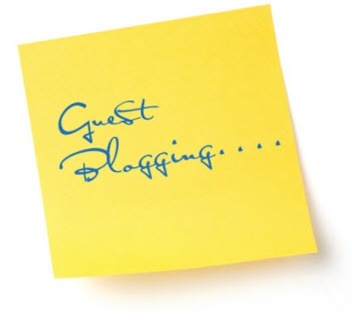 Even once you implement my guest blogging system that I shared with you in the guest blogging training post, it’s going to take time for that traffic to build up to your sites to where readers are flocking to your blog. There are many reasons for the time lag between building links and posting content and traffic coming in. The main reason is Google’s “Sandbox.” Google’s algorithm penalizes new sites when it comes to search engine rankings. This helps Google reward long-term websites and avoid a lot of problems with new spam sites accidentally ranking too highly in search engines. The problem is, of course, that you want more traffic to your blog and you want it now – you don’t want to wait 6 months for Google to start giving you a good bit of credit for your links and high quality content. But here’s the deal – you just have to be patient. You can’t change Google’s algorithm. You can’t cheat the system. You have to WORK WITH THE SYSTEM if you want to succeed. You just have to let the system work and NOT FOCUS on your results. See, if I had been focusing on my results when I started my Tom Corson-Knowles blog, I would have quit 3 or 4 months in because I was only getting 2,000 to 3,000 hits a month on my site – a very disappointing number for the hours of effort and energy I was putting in. But I stuck to it – because I knew about Google’s sandbox. I knew that I was going for the long-term rewards of blogging, not just a short-term, overnight quick buck. I wanted to build a profitable, lasting business not just some fly-by-night get-rich-quick scheme. And after 9 months, I was getting over 100,000 hits a month on the site! But I didn’t change ANYTHING about what I was doing. I was still building links by guest blogging and posting regular content on the site. What I’m saying is that even though my ACTIVITY did not change, my RESULTS changed dramatically – because the activity was starting to pay off when Google took my site out of the sandbox. Always remember that if you want to build long-term success and wealth, you must focus on adding more value to your customers (readers) and continue to execute on the fundamentals of your business. When it comes to blogging, those fundamentals are providing high quality content and building high quality links, which you’ve already learned in earlier chapters. What I’m saying is that all you need to do is focus on the fundamentals and have patience. The system WORKS – if you work the system. Don’t give up too early. It’s the #1 reason most bloggers fail to create a sustainable business. Remember, if you want to get rich in blogging (or in any business) you have to set a standard of excellence and stick to it.